Collins Booksellers - 100 Cases in Psychiatry by Nisha Dogra, Subodh Dave & Barry Wright, 9781315351582. Buy this book online. The new edition of this best-selling title from the popular 100 cases series explores common psychiatric and mental health scenarios that will be encountered by the medical student and junior doctor during practical training on the ward, in the emergency department, in outpatient clinics and in the community, and which are likely to feature in qualifying examinations. The book covers a comprehensive range of presentations from hallucinations to self-harm, organized by sub-specialty area for ease of reference. 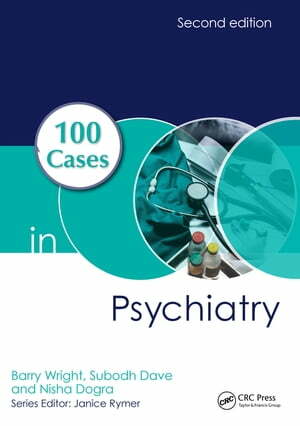 Comprehensive answers highlight key take home points from each case and provide practical advice on how to deal with the challenges that occur when practising psychiatry at all levels.